In 2015, the FDA approved Kybella ®, the only injectable treatment for extra fat underneath the chin, or the area not-so-lovingly referred to as the “double chin”. Before Kybella ®, there were few options for this area. Aside from weight loss, which didn’t even always address the double chin area (and even sometimes made it worse), the only other real option was plastic surgery, which many patients shied away from since it required them to go under the knife. 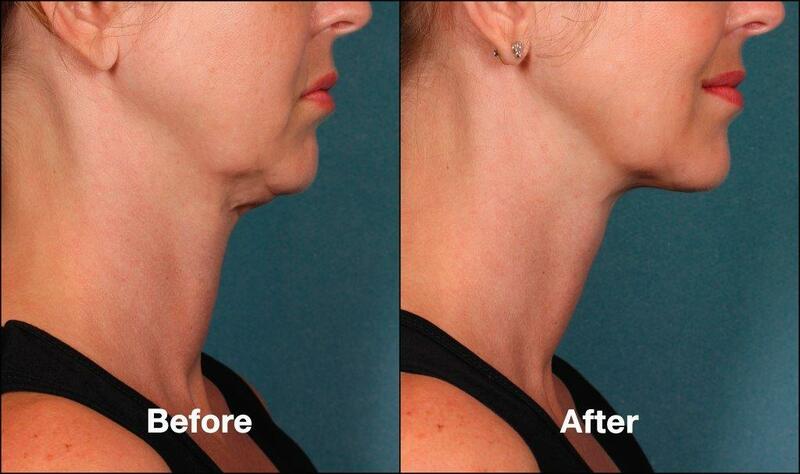 Now, you can get rid of your double chin with a simple series of injections. Kybella ® contains a synthetic version of deoxycholic acid, a molecule that also occurs naturally in the body. As a natural part of your body, deoxycholic acid helps to break down and absorb excess fat from the diet. 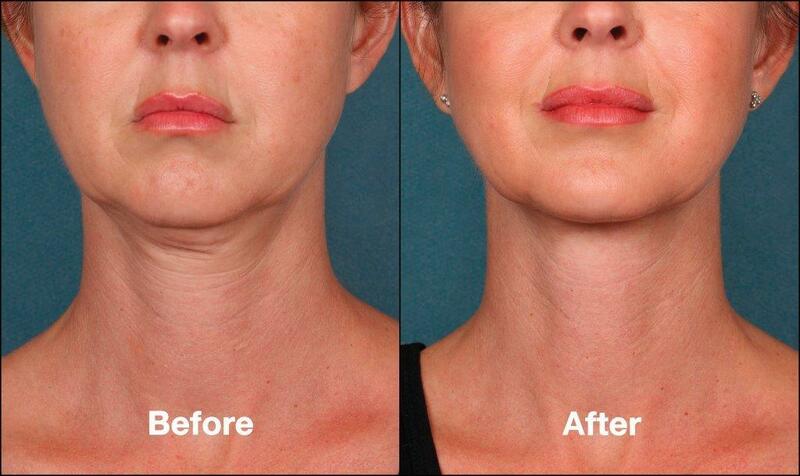 When injected into the “double chin”, deoxycholic acid destroys the excess fat cells, resulting in a significant reduction in the fullness of the “double chin” area. Even better still, the reduction of these fat cells is for good – meaning that once these cells are destroyed, they’re gone for good, so most people don’t need further treatments. The number of treatment sessions varies from patient to patient, since everyone’s goals are different. Each treatment, or injection, is given about one month apart, and most patients receive six or fewer treatments. The healthcare provider administering Kybella ® will be able to outline a specific treatment plan for you during your consultation. Before receiving Kybella ®, tell your doctor if about any medical conditions. Also note any prescription or over-the-counter medicines, vitamins, and supplements you’re taking. It’s also important to let your doctor know if you’ve had any cosmetic treatments on your face, neck, or chin. The most common side effects of Kybella ® include swelling, bruising, pain, numbness, redness, and areas of hardness in the treatment area. Although rare, some serious side effects, such as nerve injury in the jaw or trouble swallowing, may occur. Discuss all possible side effects with your healthcare provider before receiving Kybella ®.